One of the biggest annual sporting events every year, this SB edition has added significance given the 50th anniversary. 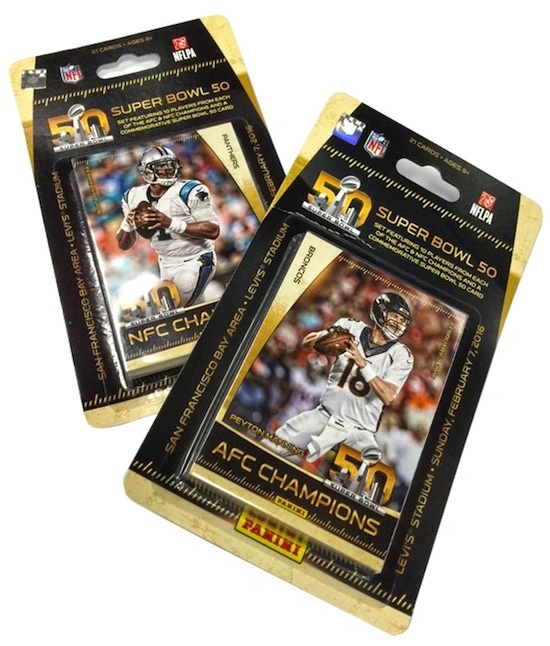 The 2016 Panini Super Bowl 50 Commemorative Football set celebrates that with a factory set dedicated to the two teams that square off in the NFL's title game. 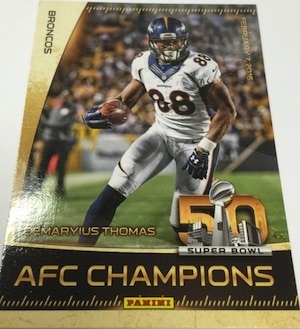 The simple release highlights both the 2015 AFC and NFC champions with ten cards and also adds a Super Bowl 50 Logo card to bring the set to 21 cards. Each card will feature the specific conference championship notation as well as the Super Bowl 50 logo and date of the game.